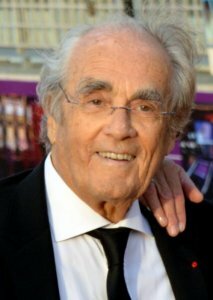 The French composer and three-time Oscar winner Michel Legrand is dead. As several French media reported, referring to his press spokesman, Legrand, famous for his film music, died in Paris on Saturday night at the age of 86. Legrand’s first musical impressions came from his father Raymond Legrand, who, as director of a variety orchestra, accompanied musicians such as Édith Piaf and Maurice Chevalier. He completed his studies at the Paris Conservatoire in 1952 with Nadia Boulanger, among others. Already in that year he arranged a string album for Dizzy Gillespie. In 1952 he accompanied Maurice Chevalier on a tour of the USA. Since the end of the 1950s he turned increasingly to film music. His soundtracks for Hollywood movies founded his world fame. One of his world-famous works is the musical drama Les Parapluies de Cherbourg from 1964, in which Catherine Deneuve made her first appearance. He was nominated twelve times for the Oscar, which he couldn’t believe for the film song to Thomas Crown, Windmills of your Mind (1968) and the soundtracks to the films Summer of 42 (1971) and Yentl (1983). In addition, he was nominated three times for the César and twelve times for the Golden Globe Award, which he once received for The Thomas Crown Affair. France’s Minister of Culture Franck Riester praised Legrand on Saturday as a “brilliant composer”. The singer Mireille Mathieu remembered her collaboration with the musician who had written several songs for her. Legrand’s musical ideas “enchanted the whole world,” said the 72-year-old. “For me, he is immortal because of his music and personality,” said composer Vladimir Cosma on the death of his colleague.